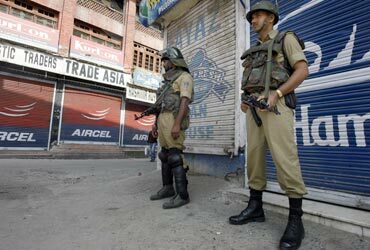 Former veteran diplomat Teresita Schaffer has blamed the failure of successive Indian governments to address the plethora of grievances of the people of Kashmir for the resurrection of violence in the state. Schaffer headed the South Asia Programme at the Center for Strategic and International Studies -- a Washington, DC think tank -- for the past 12 years before it was shut down and replaced by an India Chair funded by the Wadhwani Foundation. Her observations were published in the South Asia Monitor which she dutifully edited every month and circulated in administration and Congressional circles. 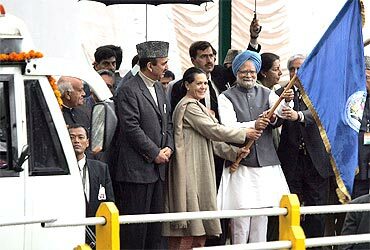 Titled Beyond Kashmir's Summer of Violence, the erstwhile foreign service officer with over three decades of experience working on and in South Asia, lauded the Manmohan Singh government for "finally making efforts designed to win the goodwill of the Kashmiri people by appointing a group of interlocutors with the aim of beginning a dialogue with civilians as well as separatist leaders." Schaffer said in particular, the government's appointment of three non-politicians as 'interlocutors' with the Kashmiris 'has raised some hopes', but argued that "to get any real traction, such gestures will need to be supplemented with outreach to Pakistan, serious implementation of the interlocutors' recommendations, and stronger leadership within Kashmir." She said the "nearly six months of regular violence in Kashmir have brought to the fore a new generation of protestors, unimpressed by the traditional separatist leadership and armed with stones -- and the Internet." 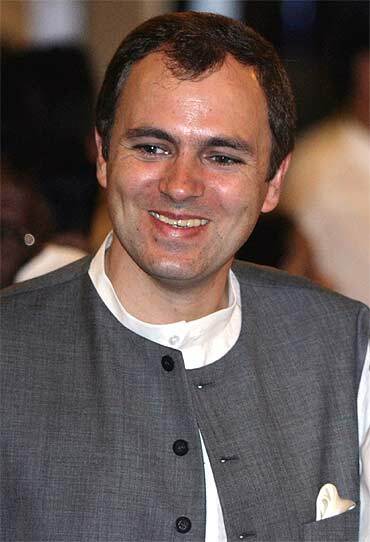 Schaffer slammed the state government headed by Chief Minister Omar Abdullah, which particularly in the first couple of months had "failed not only to reach out to the disgruntled constituents, but also to take charge of the situation," even as New Delhi "also stayed on the sidelines, appearing confused and unsure, as violence continued to escalate." She said that in these initial months of the Intifada (rebellion) when New Delhi should have moved fast its "failure to implement any major on-the-ground political initiatives to pacify the angry sentiments of the Kashmir people" had led to the exacerbation of the volatile situation." 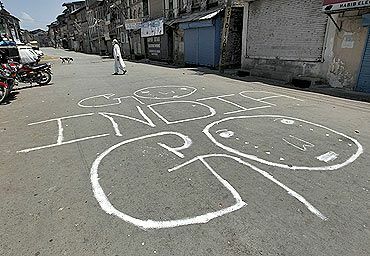 Schaffer pilloried the Indian government's 'principal response' of deploying the Indian army on the streets of Kashmir "for the first time in more than a decade" describing it as a gesture that "has become synonymous with New Delhi's dealings with Kashmir -- countering violence with more violence." She said the current Intifada (rebellion) in contrast "to other periods of turbulence in the past 20 years, largely home-grown, spontaneous, and separate from the various political actors who have tried to position themselves as leaders of the people of the Kashmir valley." Schaffer pointed out that "they are using social media not only to coordinate their weekly calendar of protests, but also to circulate videos that document the actions of the security forces." Consequently, she said that this has achieved success "in attracting the attention of the mainstream Indian and international media that so often ignore turbulence in the valley," and reiterated that "these young people are strikingly different from their parents' generation in their refusal to take up guns or resort to militancy, which was the common phenomenon during the 1989 insurgency. 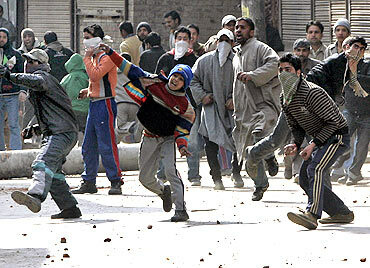 For this generation, the weapons of choice are stones and the Internet." Schaffer argued that "the recent discovery of thousands of unmarked graves believed to contain the remains of victims of unlawful killings in several districts across the Kashmir valley, and the Indian government's subsequent failure to investigate and prosecute the individuals responsible, is an example of the absence of accountability that fuels the anger on the streets of Kashmir." She noted the statements made by the interlocutors, "that deviate from the standard Indian government vocabulary for dealing with Kashmir," particularly the references to Kashmir as 'a dispute', and the expression of the need to "listen to separatist views that are unpalatable in Delhi". Also their talking "about the necessity of Pakistan's participation in a solution on Kashmir," and the importance of "understanding the slogan of azaadi." 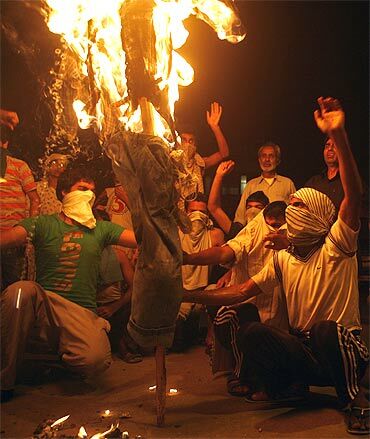 Schaffer said that while this has provoked a backlash from nationalists in Delhi, it has "struck a chord in Kashmir." 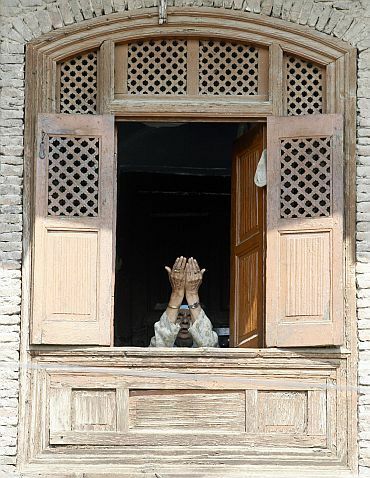 She asserted that while the "most recent political moves involve the Indian government and the Kashmiris," trying to resolve the Kashmir dispute without involving Pakistan would be an exercise in futility. 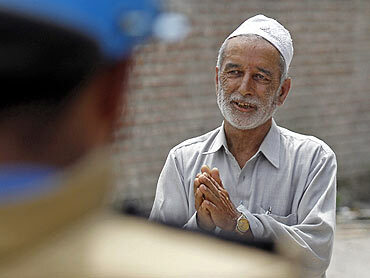 "While India has talked to Pakistan on a number of occasions in the past, and has also talked to the Kashmiris, it has never done both at the same time," Schaffer recalled, and added, "Further complicating the situation is the political weakness of the Pakistani government, which raises some questions about Pakistan's ability to move ahead politically if negotiators do achieve some kind of breakthrough." She warned that "as things presently stand, spoilers based in Pakistan have every reason to try to sabotage India's efforts," and this reiterated that "India needs to reach out to Pakistan to give Pakistan a stake in success." Schaffer also said "the burden is now on Delhi to demonstrate that the interlocutors are not simply another 'talk shop' and that the Indian government can deliver the needed policy changes. New Delhi needs to ensure that their recommendations are not mere cosmetic measures but serious proposals demanding immediate action and implementation." It's all about Azadi, stupid!